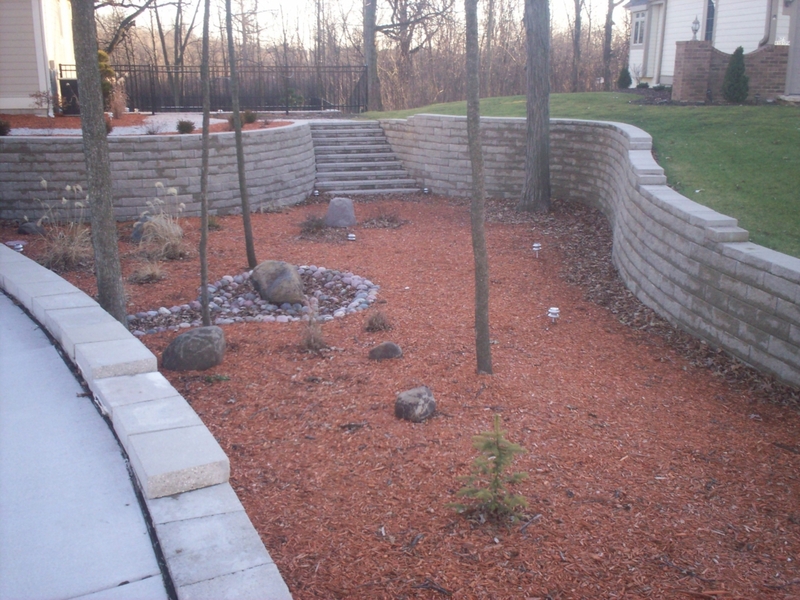 We install the best products from Allan Block, Unilock, Paveloc, Belgard, Rosetta, Keystone, Versa-loc, Anchor and Rockwood. 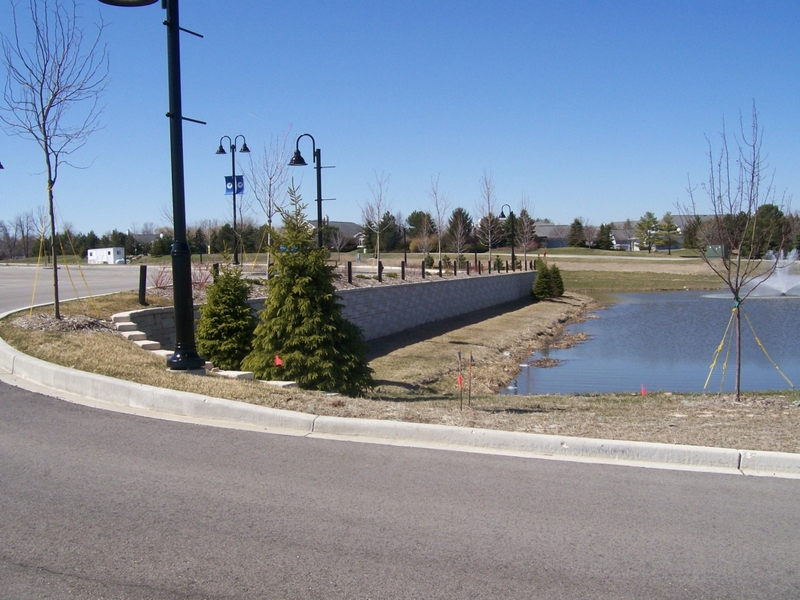 We pride ourselves on providing professional sales and prompt service to homeowners, contractors and property managers. We understand every customer has a different need and budget. The sooner you call the sooner you can begin enjoying a new beautiful yard. 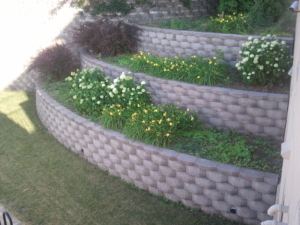 Improve the function and beauty of your yard. 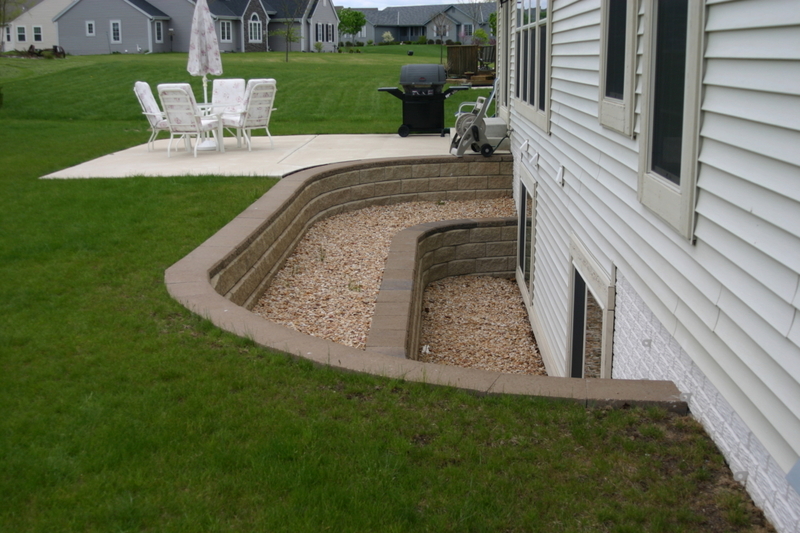 With and engineered retaining wall block we can raise any yard over 20 feet if needed, build raised patios, planters and much more. With all the right equipment and a great staff we can build any wall efficiently, to engineered specs and with the look you want. Almost 2 decades in the business, walls up to 20 feet tall and hundreds of feet long you’ve come to the right place. Adding an egress wall is a great way to improve your house value by adding valuable living space in the basement and provides a safe exit in the case of an emergency. Fireplaces and fire pits are a great way to enjoy those beautiful summer nights.